Scientists are puzzled by a dearth of sightings of an endangered species of whale in the Bay of Fundy this summer. North Atlantic right whales are normally seen in the bay in the summer, but not this year. "In the Bay of Fundy, for example, you may see as many as 100 over a summer, but this year the survey efforts resulted in five whales being sighted," said Lei Harris, a species at risk biologist with the Department of Fisheries and Oceans. It is the lowest number of whales counted in the survey in the 34 years that scientists have been observing the world's most endangered species of whale in the Bay of Fundy. There are normally four whales species in the Bay of Fundy and numerous whale watching tours take tourists out on the water to observe marine life. Nicolle Leavitt, the senior biologist with Island Quest Whale Watching, says the number of right whale sightings on tours was lower than normal. A 2012 census put the number of right whales in the western North Atlantic at a minimum of 396. Harris says even though the whales aren't in their usual summer habitat, it doesn't necessarily mean they are in trouble. "We don't have any indication at this time that the whales are in trouble," she said. "They may just be finding better feeding areas outside of the traditional feeding areas." 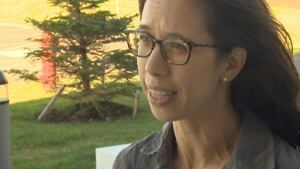 Moira Brown, a senior scientist with the New England Aquarium and the Canadian Whale Institute on Campobello Island, believes the absence of the whales is food-related. "Probably because there wasn't very much food for them," said Brown. "The plankton, and although we don't sample that ourselves, our colleagues on Grand Manan did and didn't find very many plankton in the water at all this year." Fisheries and Oceans is now trying to broaden the effort to track the whales by asking for the public's help. It has launched a campaign to have fishermen, whale watching tours and others on the water report any sightings. Hundreds of posters about the effort have been put up on wharves across Atlantic Canada. "The public can help by noting the date, time and location of any right whale sightings," said Harris. "We also ask that they tell us the number of whales that they see and how they were able to identify them." Right whales have no dorsal fin, a v-shaped blow hole and distinctive patches of rough skin that grow in the area of their mouth that help scientists identify them. Copyright © 2012-2019; All rights reserved.